If you want to learn how to spin your own naturally dyed wool/yarn, join us in the Highlands for our Dye to Spin course. This year as well as are longer week long spinning course we are also running a 5 day natural dyeing and hand-spinning course. 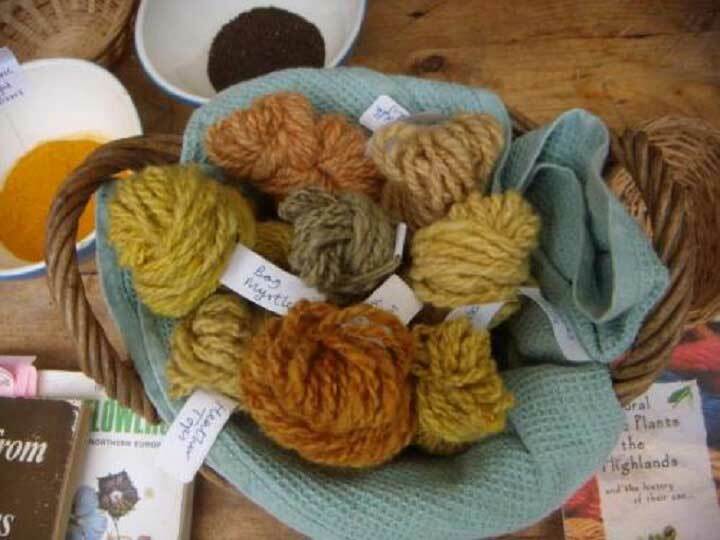 This 6 day craft retreat will run from Monday to Saturday and will include; two full days of natural dyeing with botanical dyes and two full days of hand-spinning tuition with Alison. 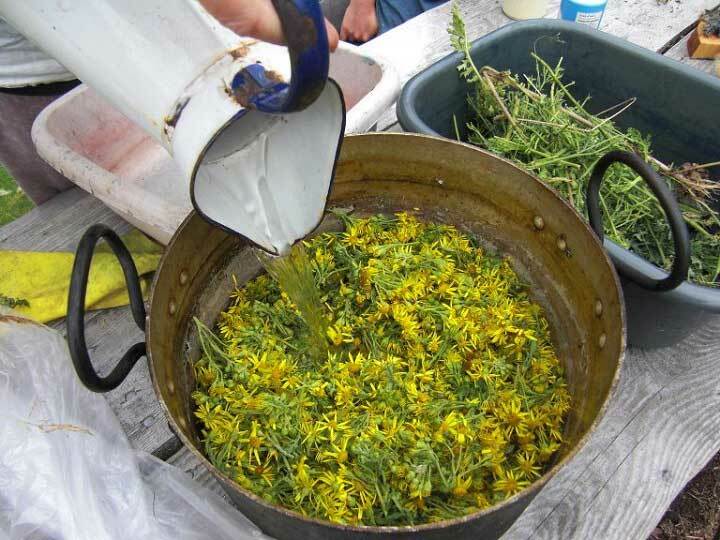 We will start off in the woods, foraging for dye plants and making natural dyes outdoors over fires. Over the two days we will make traditional Highland colours from foraged dye plants, as well as using ancient imported dye plants which have been used in the Highlands. We will mostly be dyeing local Shetland fleece, as well as fleece from our own small flock. Over the two days we will make up about 8 dye pots, producing over 25 shades of stunning colour, ready to spin into our own unique yarn. 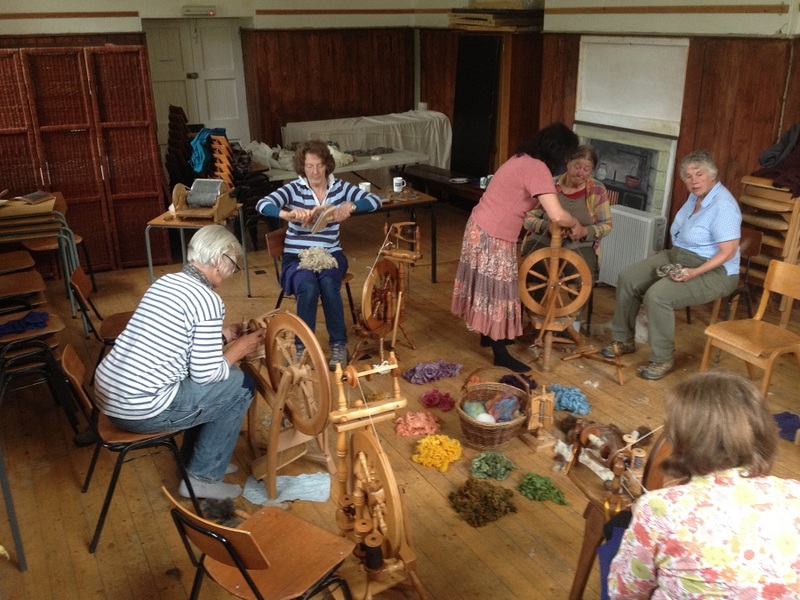 The last two days of the course are spent learning to hand spin with Alison. 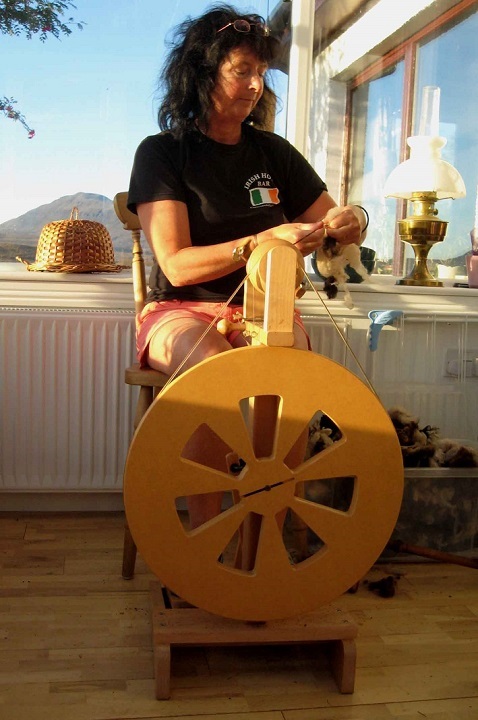 Alison has a lovely relaxed manner and teaches spinning in easy to follow steps. Guests can have a go at a drop spindle and then move on to one of our spinning wheels. The focus of the last two days will be learning to spin with a spinning wheel. At the end of the course participants will take home their own unique, beautiful hand-spun yarn as well as their knowledge of natural dyeing. Prices start at £795 (to share a twin), £895 (double), £945 (ensuite room).